Fried Seafood at its finest! Clams, Lobster Folls, Fried Shrimp & more! 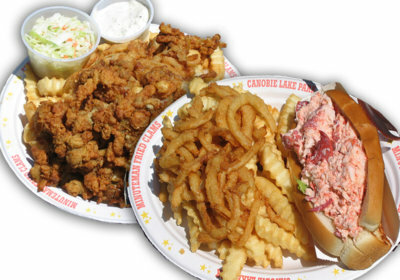 Indulge in a New England summertime favorite... check out our succulent seafood at Minuteman Clams. Relax on the outside patio overlooking the Boston Tea Party and the Ye Olde Boston area.